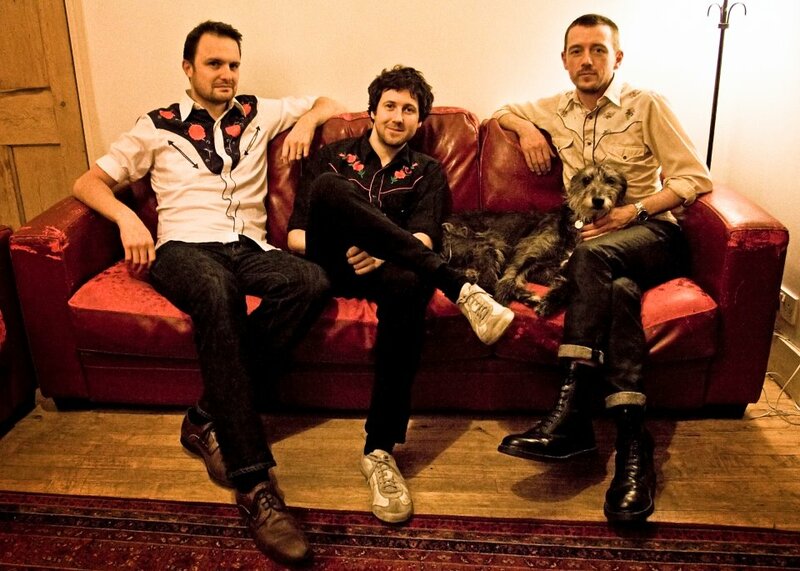 Formed in London in the summer of 2011, Cat Meat is made up of Phil Rogers (vocals, guitar, mobile phone feedback, benign dictatorship), Ian Olney (guitar, bass, banjo, wizardry) and Barney Bodoano (guitar, harmonica, drum, indecisiveness). From a song writing perspective, Phil’s primary influences are the alt-country of Wilco, the surrealist melancholia of Sparklehorse and experimental rock of Califone, though more than a hint of Captain Beefheart’s magisterial influence can be detected in the lyrics and song titles. Ian brings bluegrass chops and punk sensibilities in equal measure, whilst Barney’s slide and fingerstyle guitar reveal a love of the pre-war splendor of Mississippi John Hurt and Blind Willie McTell. Musically, the rule is that anything goes as long as it still sounds like Cat Meat. The songs are deceptively sweet, many of them love songs masquerading as something darker so as not to get picked on, whilst others creak and wheeze awkwardly in the corner of the party they were never really invited to. With an album of new material due for release in July 2012, expect to see Cat Meat lugging their haul to a town near you very soon. Cat Meat’s music certainly has a Country vibe to it, but it also has a sort of old-time Classic Rock feel as well. Despite the fact that the band is relatively newly formed, the group sounds like they have been working together for quite some time, as the songs are all quite crisp, tight, and well crafted. There’s just something about this “twang” that makes you want to pull up a chair, sit back, and get lost in the music. What I found most pleasing about the band was that while certain songs can certainly be classified in certain genres, overall as a group, the band breaks with classifications and genres. In fact, in the bio they sent me they are quoted as saying “Instrumentation is often overlaid with experimental electronic noises that are there because they can be“. How awesome is that?! They aren’t making music to necessarily please the masses, so to speak, but rather they are making music and experimenting – making sounds that are pleasing to the ear, which is what music is all about. To get you started, some of my favorite songs are Smoked and Sugared, Slow Slung Dew, and Chinese Burn That Horseshoe Birthmark. ← TAGT Live in Pinkpop!